A century of commitment to award-winning excellence calls for something special. Introducing Cabot's Centennial 5 Year Cheddar. A premium cheese slow-aged to perfection with intense bite and unforgettable complexity. Centennial Cheddar is bold yet balanced and gives a truly one of a kind tasting experience. It's a rare cheddar worth savoring. 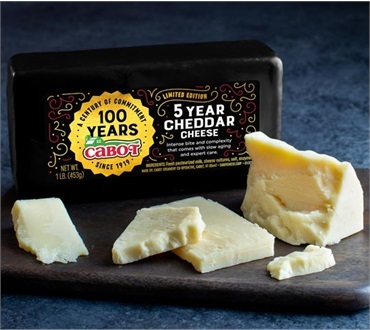 This is a special Limited Edition Cheddar, available only for the Cabot Centennial celebration while supplies last. This cheese is a 1 lb waxed brick. Cabot Centennial 5 Year Cheddar, 1 Lb. 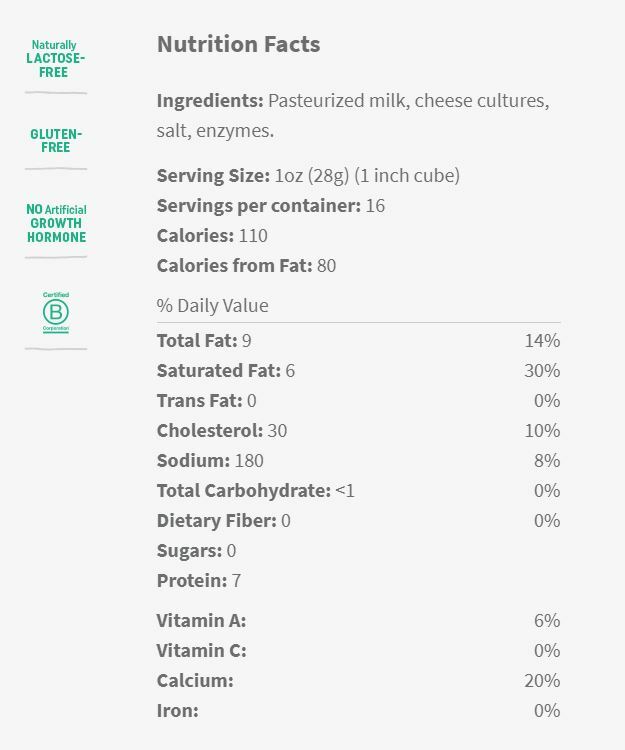 We love this cheese. Very creamy and sharp. Have reordered! We just ate in and sometimes used crackers. Sooooo creamy, we loved it! Will buy again and hereby solemnly swear only to eat Cabot! !